When someone dies and has a DC medical malpractice case, who does the money go to when the malpractice case settles? First Thing to Do as a Victim of Medical Malpractice Watch this short video to find out what you should do if you or a loved one is a victim of medical negligence. When a patient dies because of medical malpractice in D.C., the relatives of the estate have both a wrongful death case and a survival action. In D.C., both are different in terms of who is involved and the damages to make up for the harms and losses caused by the malpractice. Here's how it works. Say a wife and working mother of two young children dies because of an undiagnosed pulmonary embolism in the hospital or after leaving the E.R. and we can prove her death was caused by the hospital's malpractice, there are two components to the family's case. 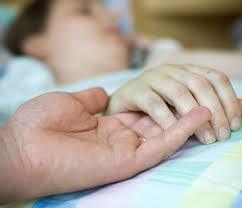 First, the children can recover for the harms and losses for losing their mother due to medical malpractice. The D.C. Wrongful Death Act allows the children to recover for the loss of care, guidance, attention, services, etc. their mom would have given them if she had been alive. The mom's estate can also recover for her lost future income and her pain and suffering. The husband and possibly the children could also recover damages under her estate-- that depends on a number of factors. These are just the basics-- there's a lot more involved an time limits for filing these types of cases, of course. So if you know someone who lost a loved one, or if you know someone trying to get answers in the face of such a tragedy, make sure they contact us. The sooner they call us to investigate a potential medical malpractice case, the sooner they will have answers, and we hope, peace of mind.